Scrolling through my inbox, I happened to come across this image. My mind screamed out "Holy cow, what is that?" 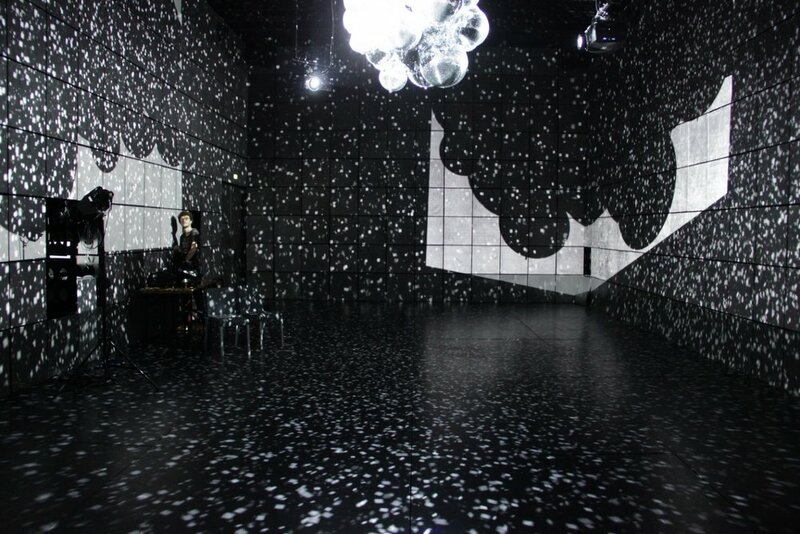 and the title read: A Shimmering Room Filled with Fifty Disco Balls and Hundreds of Reflected Points of Light. (Then, I started googling where to find this place, but that's beside the point). Not only is this a stunning image (and a really cool idea for a party) but to me, this portrays the essence of hybrid professionals. Whereas many professionals sparkle as bright as a single disco ball, hybrid professionals (those who combine two or more professional identities together) are like a bunch of disco balls bouncing light and reflections back and forth, and in between, changing and crossing light patterns into innumerable shapes and designs. As the artists Kyle McDonald and Jonas Jongejan state regarding their art installation Light Leaks, the disco balls create "a profound and unusual experience." The same can be said of hybrids. Combing one's professional identities causes profound and unusual abilities to manifest, and that's why hybrids bring unique value to the work they do. You can learn more about this artwork here. What is a hybrid professional?